Almost all buildings exposed to the elements are at risk from water ingress. Protect your property from damp with our professional damp proofing products. A quick and easy way to treat rising damp in your property. The quick and easy way to effectively damp proof your property. 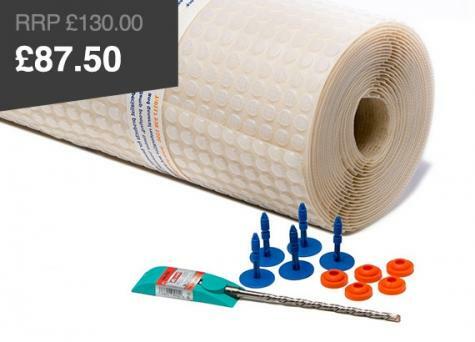 Create an effective damp proof and vapour proof membrane. 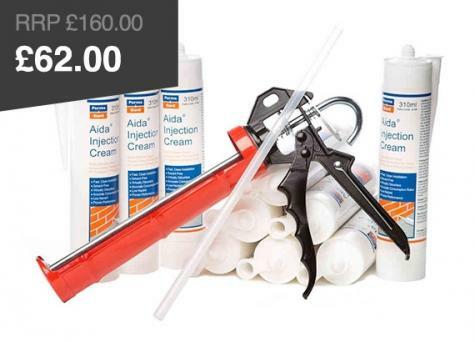 Prevent rising damp with these highly effective professional products. Water ingress and penetrating damp with our internal waterproofing products and avoid costly structural damage. Protect buildings from penetrating damp with these highly effective water-repellents. Structural deterioration – the fabric of the building can deteriorate to a point where it needs major costly repair work to make it fit for its intended purpose. Rising Damp – chemical damp proofing products for injection in to masonry to create a new chemical DPC and stop rising damp. Also damp proofing membranes, waterproofing additives and pre mixed renders to be applied onto the walls after the new chemical DPC has been inserted. Penetrating damp – chemical damp proofing products to include silicone water repellents, damp proof paint, and waterproofing membranes, all forms of damp proofing products that externally protect the structure from water penetrating into the substrate of the building. Condensation – passive ventilation units, heat recovery units and whole house units to alleviate condensation. Also products to cure mould and protect against future outbreaks. Hygroscopic salts – Salt neutralisers and cement additives for the protection of internal surfaces against hygroscopic salts. View all of our Damp Proofing how to guides and articles.